Put your hands on the accurate, affordable solution. a practical and precise solution. 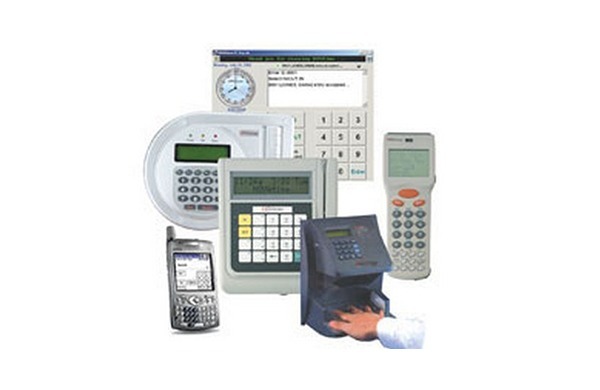 Our terminals are so affordable, it doesn’t make sense to consider any other technology. There are no cards to create, administer, carry — or lose. 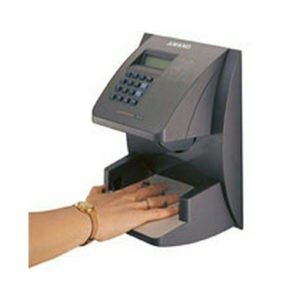 The HandPunch verifies employees’ identities in less than one second, based on the unique size and shape of their hands. HandPunch clearly notifies each user of a match using red and green indicator lights. 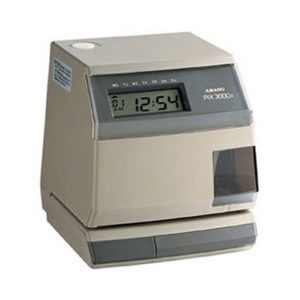 Because no one can punch in or out for your employees, the system reduces time theft and improves payroll accuracy. 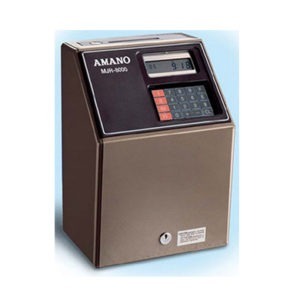 Beyond a simple time clock, the HandPunch 3000 provides definable data management keys that allow data collection when employees punch. 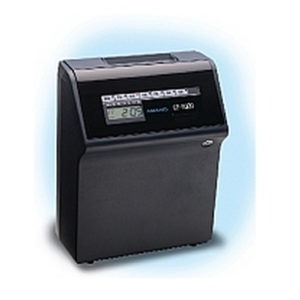 The readers transmit data to the time and attendance host PC through a variety of methods including direct wiring, modem, and ethernet. The HandPunch 3000 also has the ability to control a door. 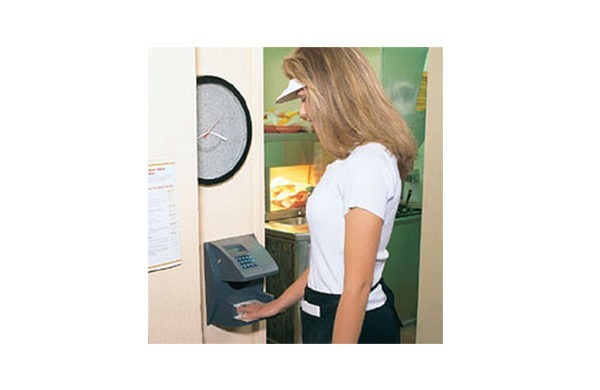 The HandPunch 3000 allows supervisors to override user restrictions and to input such items as missed punches, planned vacations, and sick time at the terminal. The password-protected mode provides greater supervisor flexibility by lessening the need for computer edits. 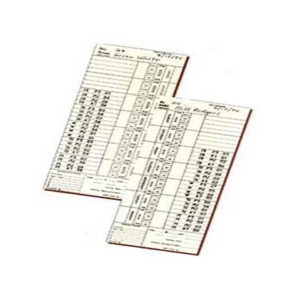 Audit trails documenting the use of these functions are generated to ensure security. The bell schedule lets you program the day, time, and duration of a series of bells. 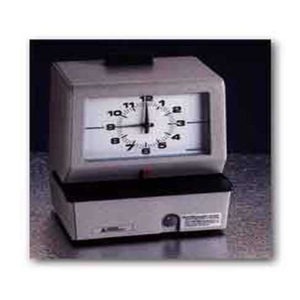 The bells can be programmed to signal the beginning or end of a shift, lunch, or break. 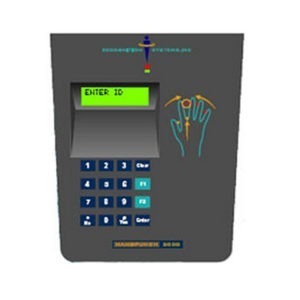 The HandPunch 3000 provides the capability to unlock and monitor a door. 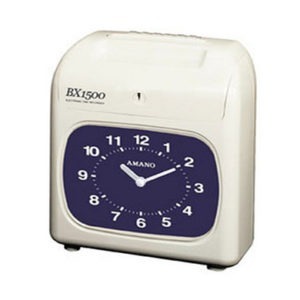 Global time zones may be used to restrict employee access. 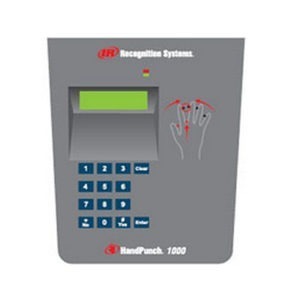 The HandPunch 3000 uses RSI’s field-proven hand geometry biometric technology. or palm prints are utilized. 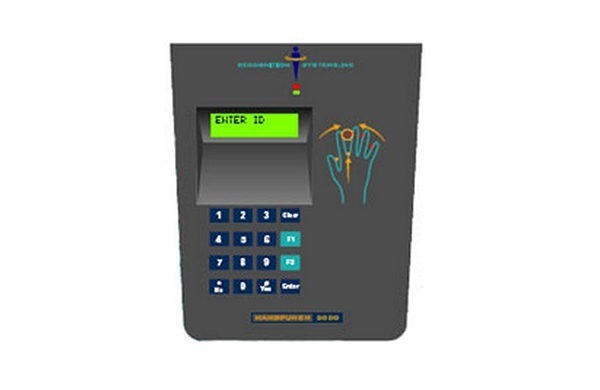 The HandPunch 3000 has two user-definable data management keys that let you collect data as employees punch. 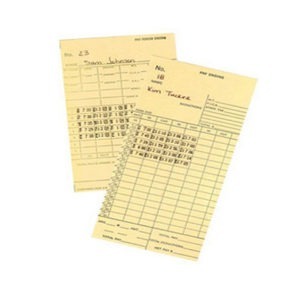 Common uses include department transfers, tips collected, job codes, or pay codes. Multi-level data entry sequences may be defined. 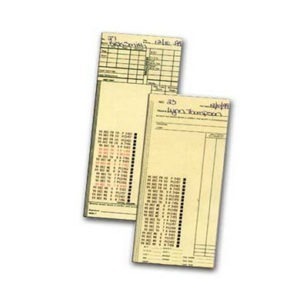 You can also set the data management keys to allow employees to review their past punches. To reduce keystrokes, the keys can also be set to automatically enter data such as a frequently used department number or in/out status. 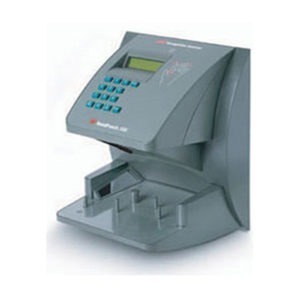 Whether your application calls for one terminal or thousands, the HandPunch 3000 can meet the need. Multiple terminals can be networked together at a site via RS-485 wiring. An optional Ethernet communications module or dial up modem are also available. Both options are internal to the terminal making installation fast and simple. Door Lock Output : Sinks 0-24VDC, 100mA max. Bell Ring Output: Sinks 0-24VDC, 100mA max.